1. Community – Give back to the online community. Try to make sure all visitors to your website feel like they have received valuable content, advice or guidance. Provide a whole host of free resources that customers can take with them and share with others. If you can guarantee that your site can consistently provides quality resources, your customers will keep coming back, gaining customer loyalty is a crucial role for effective internet marketing. 2. Visible Name Tag – All business print that you push out must clearly show your URL address, email contacts, Twitter handle (@webbrandinguk) and so on. Never miss an opportunity to promote your name and brand. 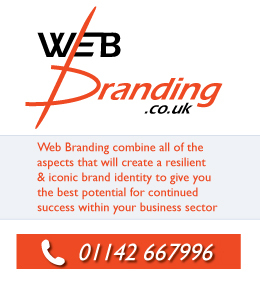 Attach your URL to absolutely everything; business cards, flyers, letterheads, posters etc. Also, when online keep linking back to your URL, create a forum signature, post links on facebook and twitter. All these techniques will boost brand awareness through powerful internet marketing. 3. Wiki – A good internet marketing technique that has been implemented by many successful online businesses is to create their very own wiki page on their website. This page is in the style of any Wikipedia webpage you will have come across but is specific for just your business. This looks very professional for a business to be represented via a wiki page. Wiki’s can also allow users to update content themselves, making them feel more part of your website. Internet marketing is all about getting your customers on board, inspiring confidence and making them feel at home. 4. Research – An important part of consistently providing up to date and relevant information for the benefit of your users is through surveys and polls. Add more user interaction within your website by implanting these features. Study the results you receive and write up your findings and publish on your website. If users are aware that the topic they have just voted on will be analysed and turned into a report, they will be more likely to visit you again to learn more. 5. Contests/ Competitions - A good example of worthwhile Internet Marketing is through the medium of web contests, competitions, giveaways and promotions. The previously mentioned marketing techniques help reel in your potential customers and act as an alternative to regular advertising. The main difference between regular advertising is that the points above will engage the audience and provoke a call to action through the chance of winning. Internet Marketing is a Great way to spread the word about a product or service.